Two-plane versus one-plane, doesn't matter much really. 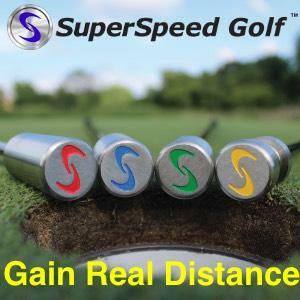 There are still tons of useful information that S&T; uses that apply to both, and its been said over and over again, the hips are ahead of the ball and the body stays centered over the ball. They streamlined alot of information into one type of swing, but alot of pieces can fit alot of people. [/quote] Yeah, I was referring to float load. If you were maintaining your left wrist flex like Furyk, does he not flatten his left wrist until a somewhere between P5.5 and P6? 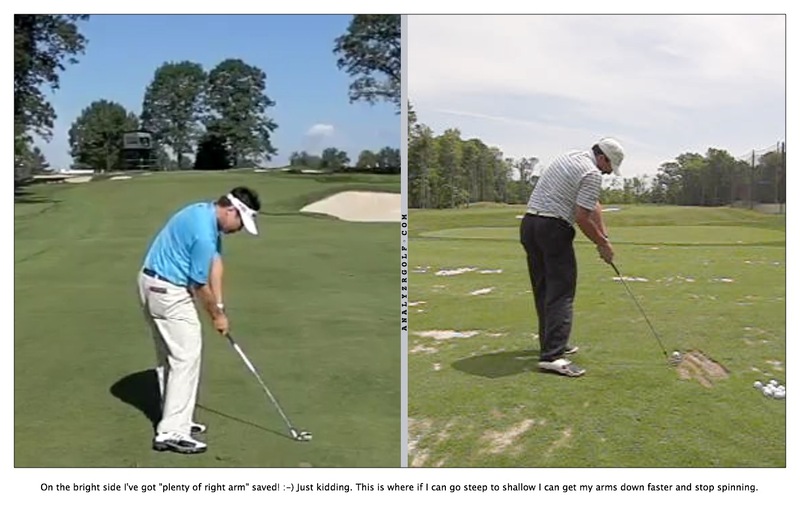 That's about when it looked like your left wrist was flat for the first time in the video. Really? I've marked roughly P2 and P4 in this screenshot. 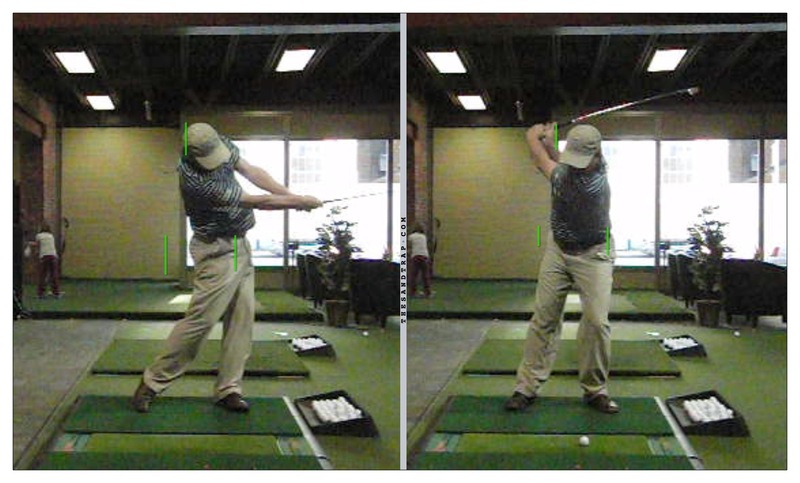 I was dorsiflexing (cupping) the left wrist primarily to help me hinge the club up faster. It helps with that. The Furyk feeling was more tied to feeling that I went from "steep" to "shallow" as I tend to go the other way - shallow -> steep. 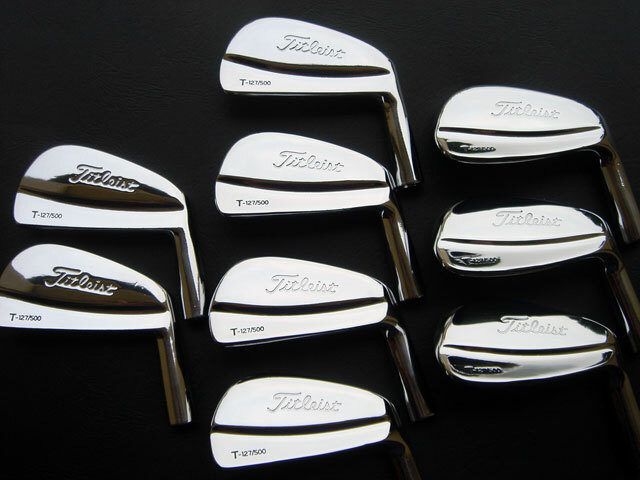 I to am working on a furyk feeling swing.Mine's a bit more steep at the top between you and furyk.But a quick reroute at the top to shallow out and have a better plane on the downswing. Perhaps I'm not sure what you're asking... can you restate the question? 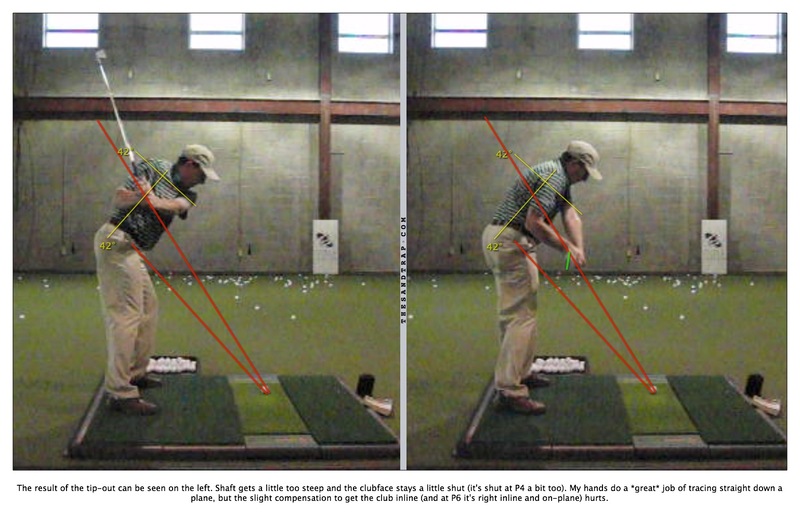 The dorsiflexion is to help hinge the club up. 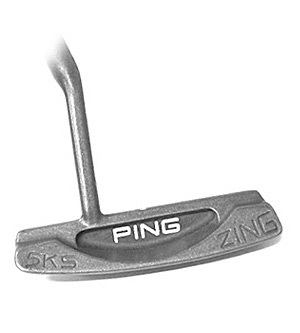 It has nothing to do with Jim Furyk - that's another feeling of going from steep to shallow rather than the opposite. 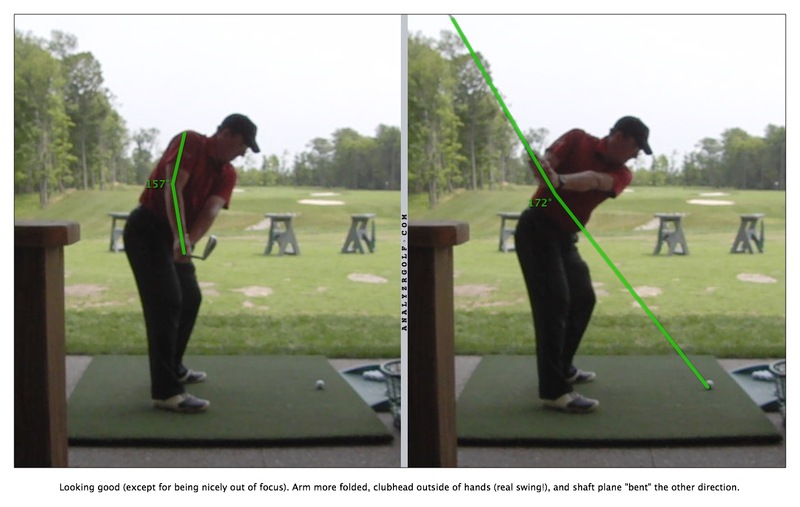 Also, I don't like the line on the middle image because the angle isn't very good for seeing wrist cupping from that angle - you're seeing more wrist hinge than anything. [/quote] In the OP, you said: [quote=iacas]As you can tell from the name of the video, I was trying to achieve a little more of a "Jim Furyk Feeling" on this swing - dorsiflexion of the left wrist on the takeaway[/quote] So I thought that dorsiflexion of the left wrist in that video was related to imitating the "Furyk Feeling". 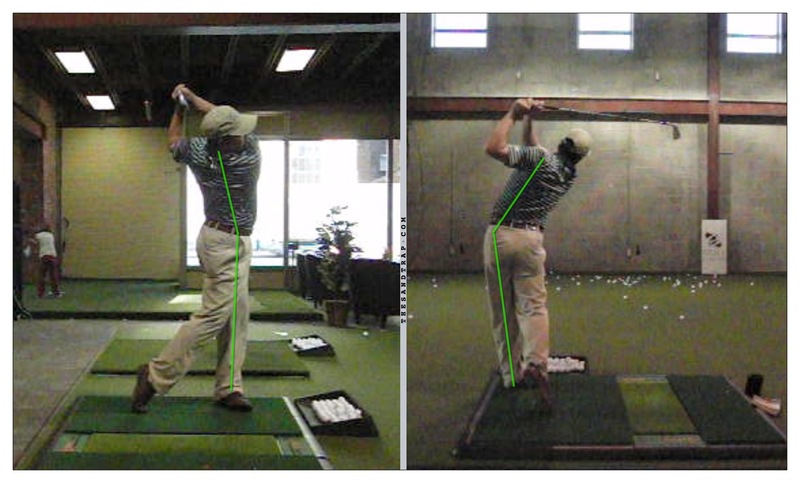 Watching the dorsiflexion in the video, it seemed to me that the wrist was not flat until somewhere between P5 and P6. The middle photo I posted is not good quality, but it still doesn't look flat at that point to me, but in the third photo it is clearly flat. 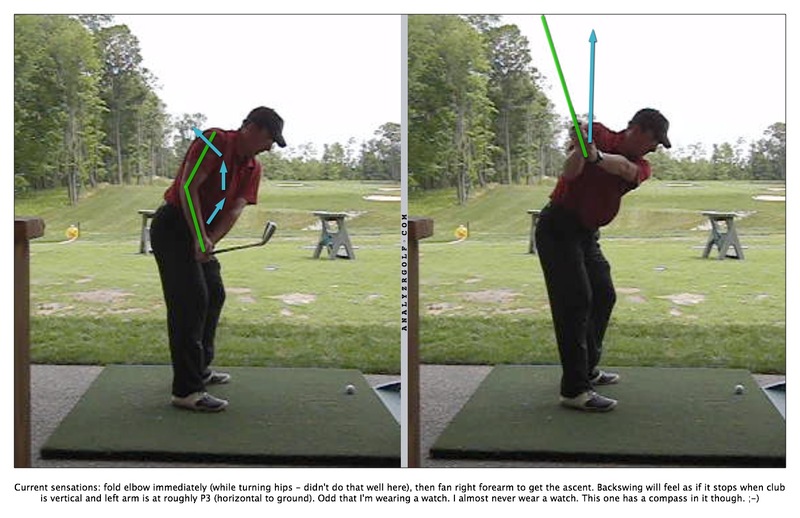 I was curious if my assessment was correct: that meant that you were flattening your left wrist on the downswing. 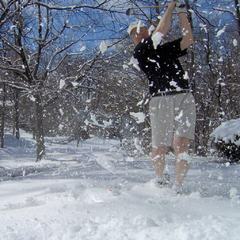 Because I thought you were imitating Furyk, I wondered if he did the same thing. However, from the image of Furyk you posted, he actually has a practically bowed left wrist at P4, so now it's clear that he does not. 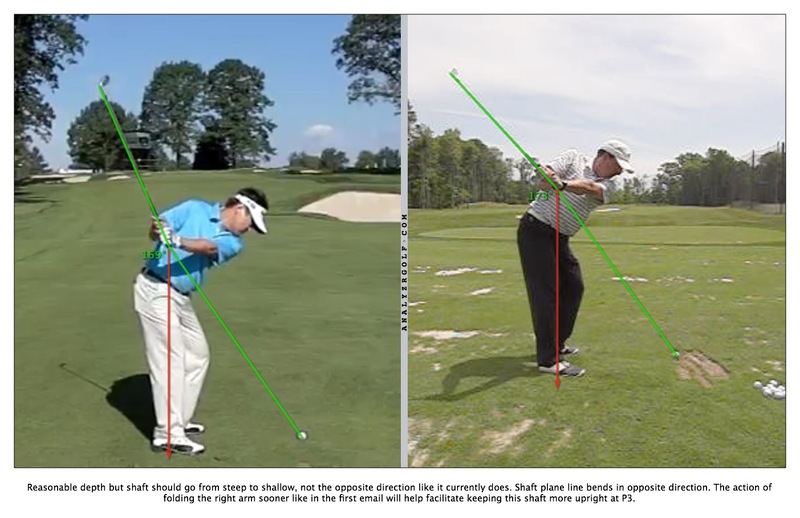 So now I'm curious where in the swing you personally like to flatten your left wrist, and whether you do so in the video or if you did something different with the dorsiflexion in your left wrist in the video than you normally do. 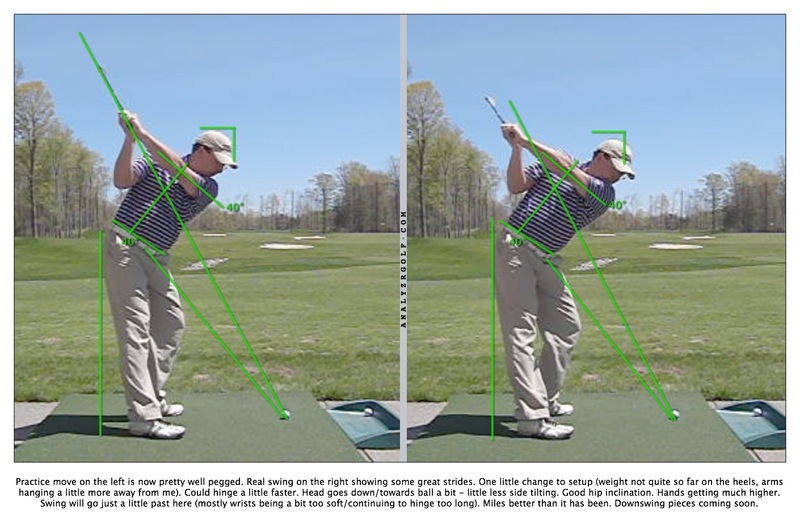 So now I'm curious where in the swing you personally like to flatten your left wrist, and whether you do so in the video or if you did something different with the dorsiflexion in your left wrist in the video than you normally do. I fight getting it flat too early, so for now, my answer is "later so long as it's before impact." To be clear... I'm not using Charlie in these pictures because I want to swing like Charlie. I'm using Charlie because he overdoes (to a slight fault) some of the things I underdo. These photos are a few days old. Got video from today that shows some nice improvements. Maybe I'll add those to the end. Note: not forward much in these at all, but not something I'm working on at the moment. 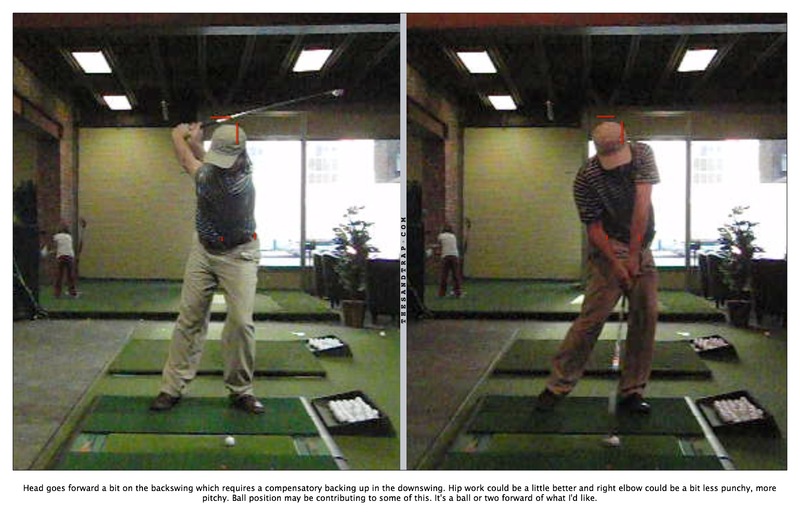 I could be more forward, and I am when I'm playing golf, but not so much when working on backswing pieces. 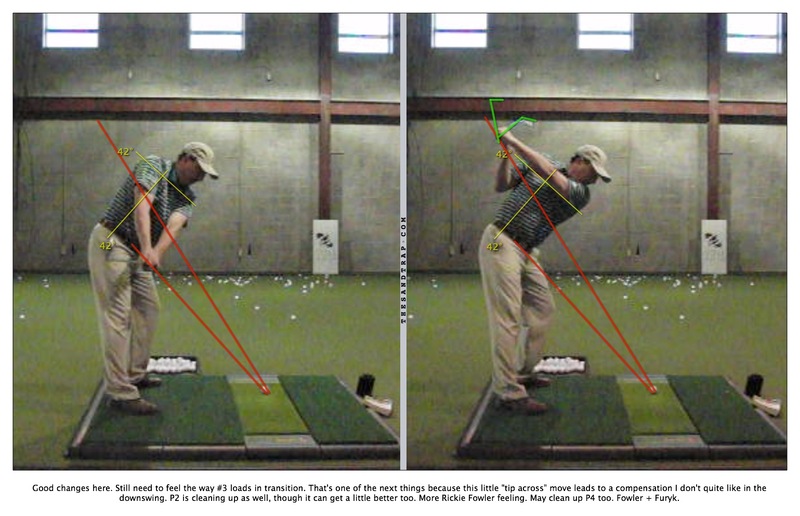 Can I ask what will these adjustments gain as far as hitting the ball is concerned? To me it seems like you are trying to have a swing that looks perfect in picture. I am sure you have the big picture all sorted but any chance you could let us know the problems you are having because you aren't doing the aformentioned parts of your swing correctly. I'm not trying to make anything look like a picture. I tend to take the club back a little too flat (right arm doesn't bend soon enough, third accumulator rolls a little too much to compensate). Then the swing goes long and I re-route the club too steep, which leads to needing to turn through more than the linear component at the moment. It's a series of compensations, albeit minor ones, that I'd prefer not to have in my swing because it causes some minor issues I'd rather not have in my shots. My swing will look "similar" to Charlie's in the ends (and "similar" to a lot of people's, frankly, depending on your definition of "similar" for all cases) but his pictures and my pictures simply exist side by side for comparison, for measurements, for numbers. Charlie overflexes his right arm, but since I need to feel that more, I used his picture. Charlie goes from steep to flat, too, the opposite of me and something I need to feel a bit more of. DTL Charlie is hitting a wedge while I'm hitting a 6I, too, so his swing is even shorter... which I need more of as well. 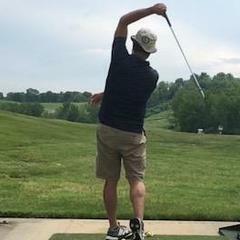 I'm not trying to make my swing look like any one "picture." I've written about this before, but basically, the pictures show that "feel isn't real" and they show the "gates" through which I pass. I'm never trying to "hit" any one position, but rather come up with feels for my golf swing that, when a picture is taken, show that I'm passing through these proper positions. 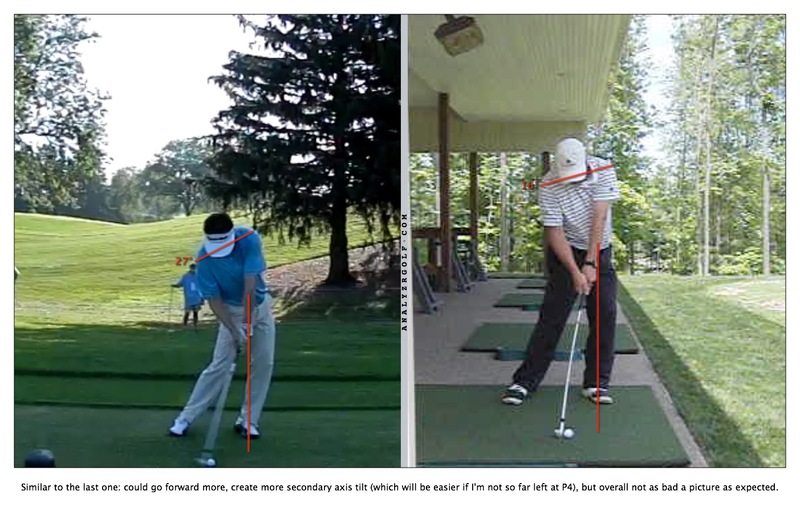 It's important to remember that the golf swing is a fluid motion, not a series of "positions," but I'm saying that to readers of this post and not to myself. If you think I'm trying to connect a series of positions, you've got my approach backwards - I'm trying to find some feelings that reveal themselves as certain positions. Positions which will not force compensations. A steep shaft on the downswing leading to more turning and less linear leads to a little bit of trouble with the third commonality - curve control. Occasionally I get a little cut when I'm thinking draw because the path is a bit too far left. Or occasionally I'll toe a shot a little because of the same thing - path going a bit too far left. I can and do play scratch golf from these positions. I know of plenty of scratch golfers with worse positions, too... but that's the point. I want to get better, and so I'm working on curve control, and this is how I have to go about it right now: by tweaking my shaft plane and eliminating or minimizing the "shallow to steep" loop. I do want to be clear on the "positions" thing. 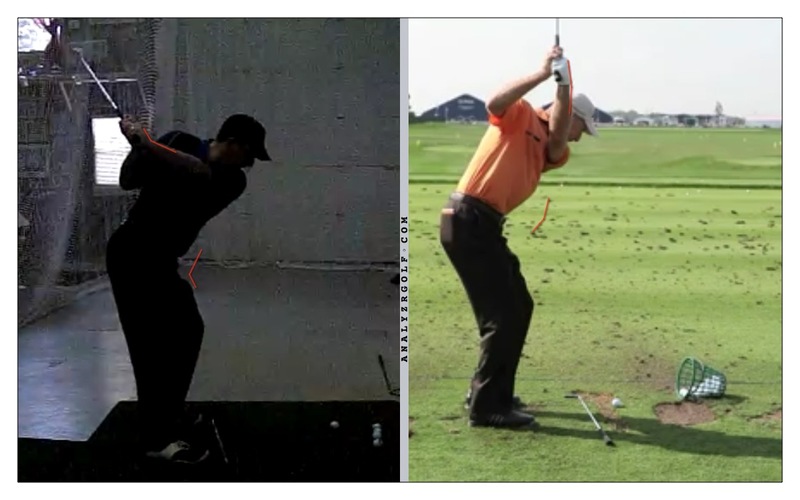 The golf swing is not a series of positions you can connect. 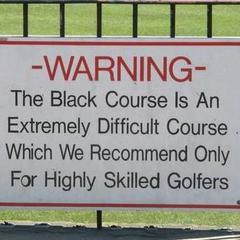 If that were the case I could have a perfect golf swing... I'd just swing 1/10th as fast as I do now. 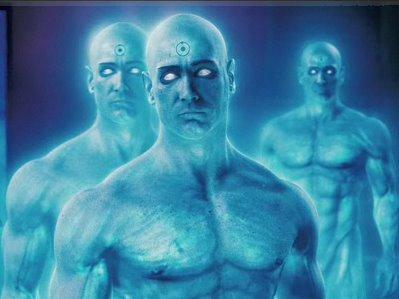 But pictures are a great way to see that feel isn't real and to isolate things so you can come up with ways to improve. 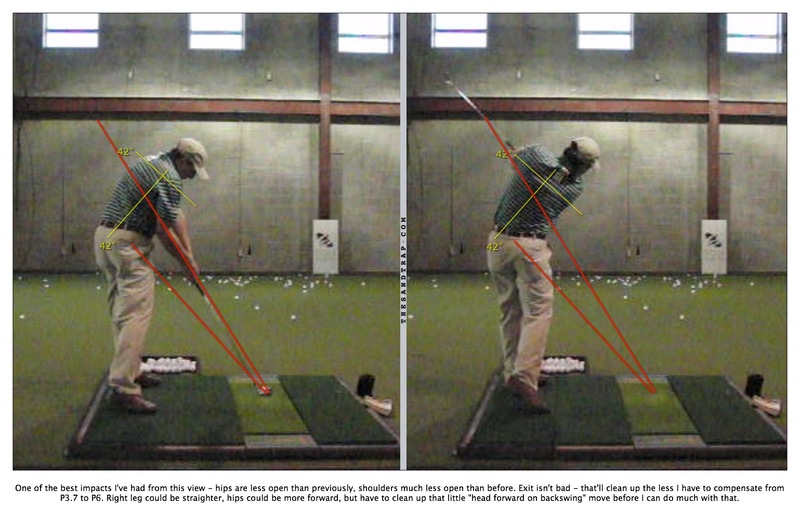 The goal is not to improve the picture, but an improved picture is a byproduct of an improved motion. Yes that well and truely gives us the information. Thanks! 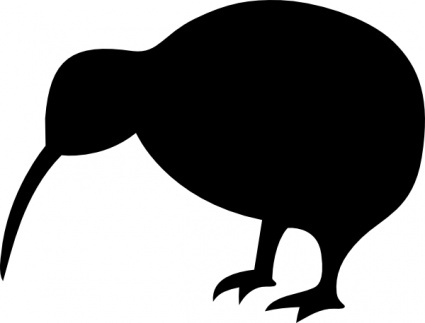 Could you post a new video? I think it would be interesting to see. Just some pictures. 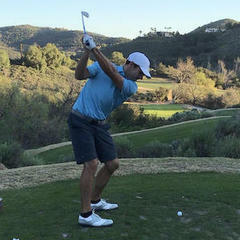 Full speed swing, just thinking about one thing... effectively "a golf course swing." As real as it's gonna get.